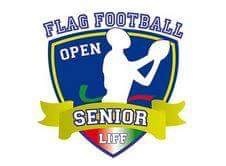 Week 1 of the 2017 Italian Flag Football league opened up with 2 bowls: an Interdivisional bowl between North-West and North-East divisions and a Central-South divisional bowl. There are three undefeated teams at the end of this round of games: Nador Ferrara, Leoni FVG and Hedgehogs Boschetto. Four other teams finished with a positive record (2-1). 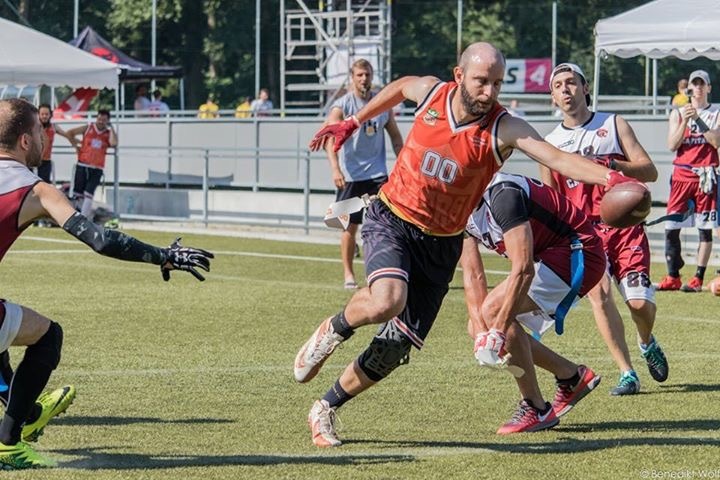 Nador Ferrara, helped by the utter dominance of Kris Durham, took home two close wins against Arona 65ers and Italia Academy, while winning with relative ease against MinotaursTorino and Taz30 Bologna. Leoni FVG got the best of Cleavers Cavriago by four points, while cruising easily against Minotaursand Braves Bologna. Hedgehogs Boschetto also won a close game by 4 points against Paccasassi Ancona, and comfortably defeated Refoli Trieste and Blitz Cirié. 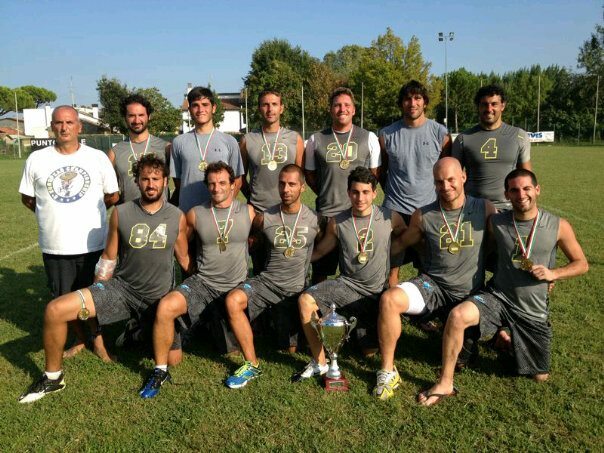 The 2-1 teams were Cleavers Cavriago, Arona 65ers Taz30 Bologna & Heroes Milano. The first three teams got their only loss (all close ones) to one of the undefeated teams, while Heroes lost to Taz30. Paccasassi Ancona also had a good showing, with a 1-2 record that could have easily been a 3-0 had they not lost by 5 points from Cleavers and by 4 points from Hedgehogs. A good entrance in the leagues by the Italia Academy (the 2016 U15 national team who won the Euro Championship), who took home a good win against Braves and a very close loss to Nadoren route to a 1-2 finish. 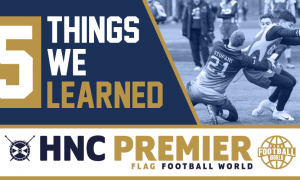 After a “disappointing” year – meaning they did not reach the 1st place final – Marines Lazio seem to be back with a vengeance. 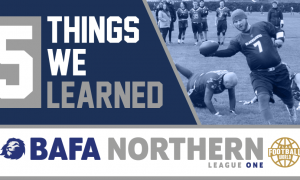 They raced to a 3-0 record, including a victory over the reigning champion Raiders Roma 20-14. Second Place went to Black Sharks Roma and Raiders, after they both defeated Red Tigers Ortona & Crabs Pescara and lost to the Marines. 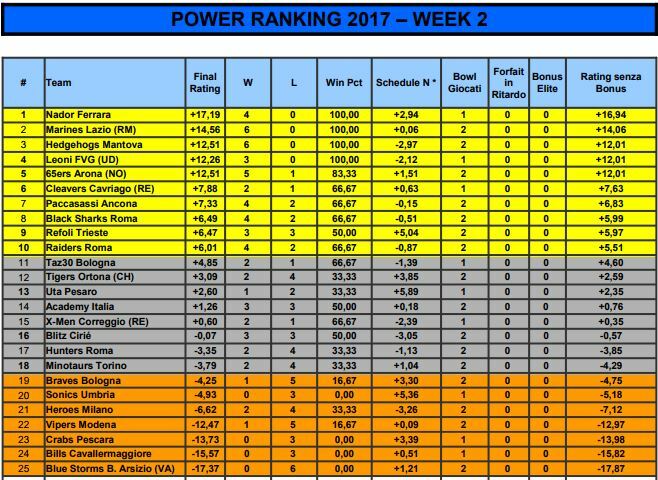 A bit of a disappointing bowl for Red Tigers, who finished 1-2 with the only “W” coming against Hunters Roma (yes, Rome has a lot of teams!). Week 2 featured another Interdivisional bowl for the North-East division, this time against the Central-South one. North-west played a divisional bowl instead. Another Bowl, another 3-0 for Marines Lazio, this time against Red Tigers, Sonics Umbria and UTA Pesaro. It was a perfect day for Paccasassi Ancona, against Black Sharks, Red Tigers and Sonics. The other teams who had a good showing were Black Sharks, Raiders and Refoli – all with a 2-1 record. Refoli Trieste bounced back from the bad result of the first bowl, with their only loss coming from Black Sharks by only 6 point but at the same time beating Raiders by 2 TDs. Another disappointing 1-2 for Red Tigers, even though it must be said they had to deal with a couple of injuries to some key players and were playing against a tough competition (Marines & Paccasassi). The divisional Bowl in Vedano saw the absence of Cleavers Cavriago leaving the 65ers and Hedgehogs as the only tow “top-seeded” teams. 65ers cruised to an easy 3-0, defeating all their foes by a large margin. This is also the case for Hedgehogs Boschetto, who managed to win all their three games with only 26 points against them in total! 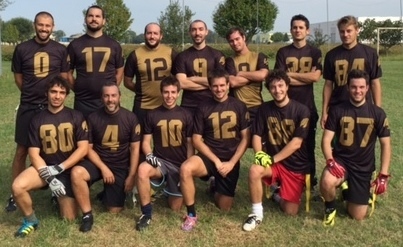 First bowl with a positive record for the “Terrible Kids” of Italia Academy, 2-1 with convincing wins against Bills Cavallermaggiore (new team) and Vipers Modena and a loss at the hands of Hedgehogs. X-Men Correggio managed to end the bowl at 2-1 despite a bad loss to start off the day against 65ers. 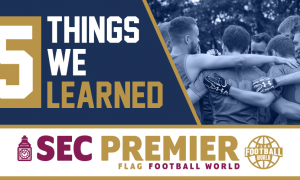 They were then able to beat Blue Storms and hand Blitz Cirié their only loss of the day – 2 wins for them against Blue Storms Busto Arsizio and Heroes Milano. It was a disappointing bowl for the Milan Team, 0-3 – the loss of their QB and leader will be felt in the upcoming bowls, too, until his return in early September. 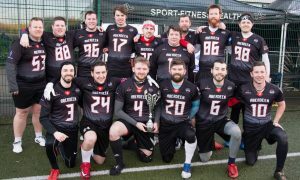 Positive bowl for Minotaurs, en route to a 2-1 record – only loss was handed to them by Arona 65ers, while they defeated Heroes and Blue Storms. First win of the year for Vipers Modena who were able to overcome Bills Cavallermaggiore. 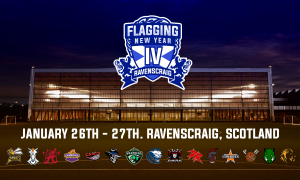 Week 3 will be underway in the upcoming weekend, and what a weekend it will be! 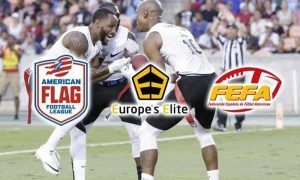 It’s Elite Bowl time!! The ranking is divided into 3 separate “categories”: first 10 teams will play the Golden Bowl, 11th to 18th will face-off in the Silver Bowl and the remaining teams will play the Bronze Bowl. This is considered by the players one of the best weeks in the League, because it specifically designed to have teams face other teams with the same level of play, making for good and entertaining games! So… see you in Modena on Saturday and Sunday!